Two years later, I returned to Cappadocia in the month of November. The weather was a lot cooler and exploring the small towns and fairy chimney valleys was less of a task. My accommodation on my second visit was the small town of Uchisar, standing on a large hill that is the highest point in the region. 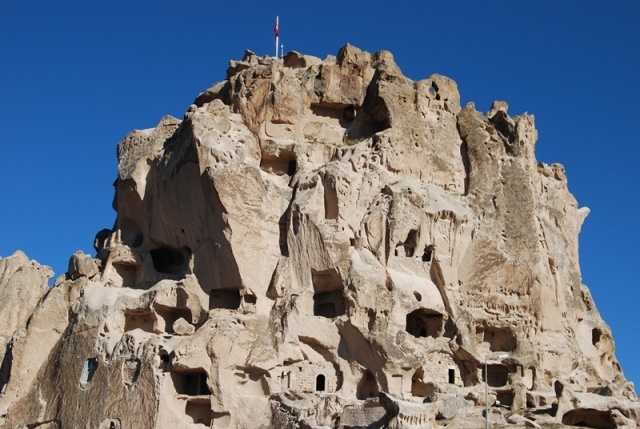 Throughout history, the castle was always the main point of defence for the Cappadocia region. These days, the road leading to the entrance is not lined with soldiers but local women selling their wares and tares as traditional Cappadocian souvenirs. 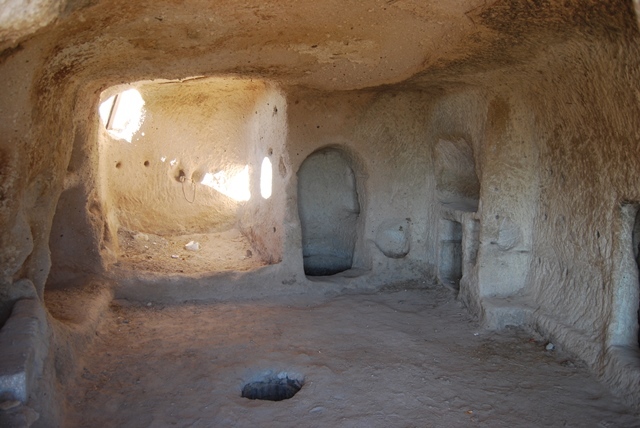 The exterior appearance is plain ugly, looking like a mass of rocks that were crassly carved in haste, but the construction was just keeping in line with traditions of Cappadocia throughout history and that was building homes and buildings out of the natural rock. Remembering my childhood when I toured castles of England, I expected grandeur and majestic furniture. The reality is very different. The castle does not hold any antiques, ancient portraits of royalty or any example of outstanding architecture. The stone walls and floors are bare. There is nothing to look at. However, the prize is the astonishing panoramic view of the landscape. Cars, tour buses, and people were just dots on the horizon. It was a clear day and I could see snow on the top of Mount Erciyes in the far distance. It was easy to sit there for an hour in peace and contemplate the thought of living in the area permanently. In the past, people had also carved their homes into the outside walls of the castle. The caves are small and a large family would have to enjoy each other’s company, living so closely together! 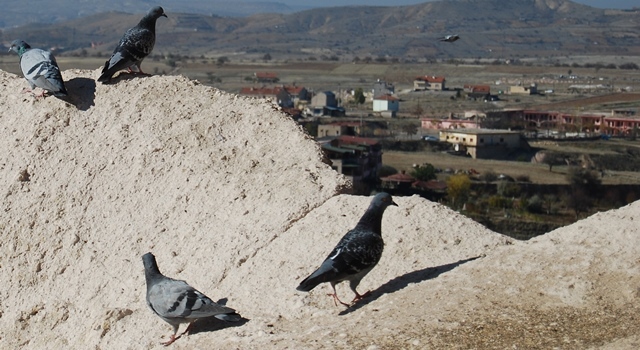 Other inhabitants that are still around today are the mass of pigeons, sitting in the coves carved into the castle walls. Their droppings were collected daily, because locals believed them to be a good source of manure. 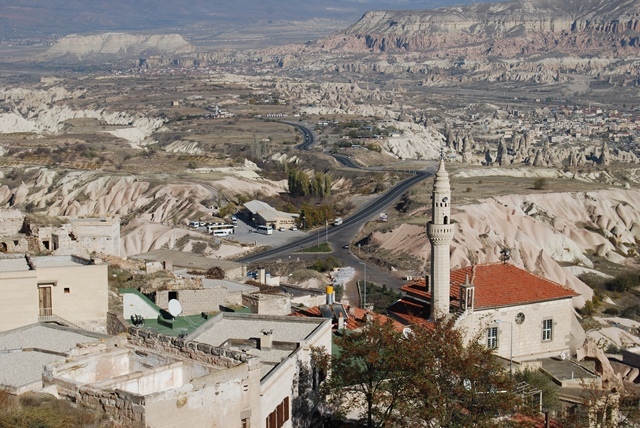 On your visit to Cappadocia, forgive the ugliness and stark appearance of the castle. Do not expect to be wowed by the interior but definitely get the camera ready for an amazing landscape view. 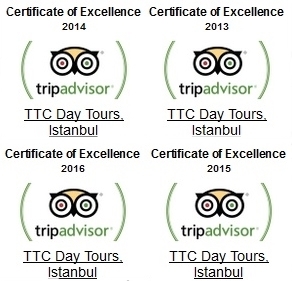 There are a variety of daily tours seeing attractions such as Uchisar castle. 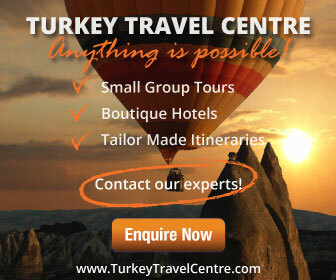 Also available is a two day tour and hot air balloon rides over the fairy chimneys and cave hotels. Find out more.